Ask just about anyone who follows the green automotive industry what's holding back electric cars and you'll likely get the same answer: It's the batteries. Though today's lithium ion packs are orders of magnitude better than the lead acid units of a few decades ago, these advanced power packs still can't hold a candle to the available energy of a full tank of gasoline. Still, advancements can be found in other areas of electric vehicle technology, including the motors. 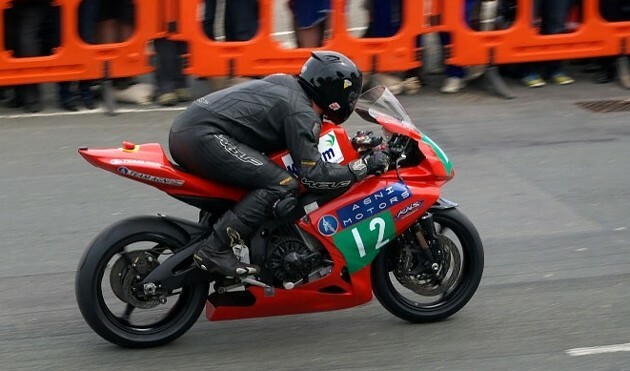 Taking a look at the inaugural running of the TTXGP at the Isle of Man proves that there are many different types of electric motors available, and the winning bike used pancake-shaped brushed DC motors from Agni. Road Racer X recently got the chance to sit down with Agni Motors designer Cedric Lynch, and he touched on all aspects of electric vehicle design. How long will it take before electric vehicles can compete with their gasoline-powered siblings? Read Lynch's take on the matter by clicking here. Cedric Lynch: Batteries the bottleneck to gasoline-level performance originally appeared on Autoblog Green on Tue, 15 Dec 2009 13:04:00 EST. Please see our terms for use of feeds. 0 comments on "Cedric Lynch: Batteries the bottleneck to gasoline-level performance"